Gardening has a power that is political and even democratic. And it is a political power that can be applied constantly, whereas one can only vote or demonstrate occasionally. 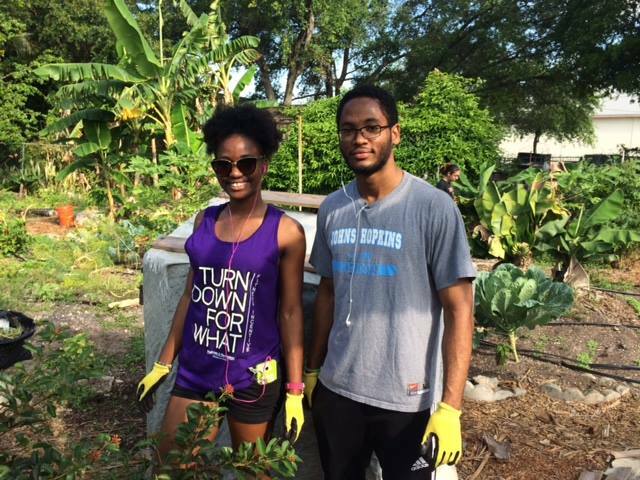 Because of disputes over land, access to green space, and equal rights to the city, urban gardens have become a symbol of community activism and empowerment, and they are part of a contemporary grassroots movement supporting environmental justice, collective action, and equitable access to nutrition and good health. Due in part to the current swell of interest in the local food movement, since the early 2000s there has been a remarkable surge in the prevalence of community garden initiatives. But while they may be in the current media spotlight, the practice is certainly not new. Community gardens have been part of American cities since the late-19th century. As a way to confront the congestion, economic instability, and environmental degradation that were part and parcel of turn-of-the-century urban life, residents began taking matters into their own hands—by planting school gardens, for example, or cultivating the vacant lots between buildings. Since then, the popularity of these gardens has seen ebbs and flows in relation to the social and economic climates of particular eras. During the World Wars and the Great Depression, for example, the practice became much more widespread (as a result of the “Victory Gardens” encouraged by the federal government during WWII, Americans produced 40% of their own food!) only to diminish once again as the nation’s devastated economy began to recover. The 1970s witnessed another economic crisis that made its mark on urban cores. As soaring food prices coincided with the birth of the modern environmental movement and the availability of open spaces as a result of failed urban renewal projects, community gardens began to reemerge as part of a movement to reclaim ownership of the “public commons.” Most recently, after the 2009 recession, there was a 19% increase in the prevalence of community gardens as a strategy for supplementing food costs and cultivating local resilience. While their ability to improve food access alone, especially among lower-income and under-served communities, is proof enough of their enduring value, community gardens are—and have always been—about much more than food. 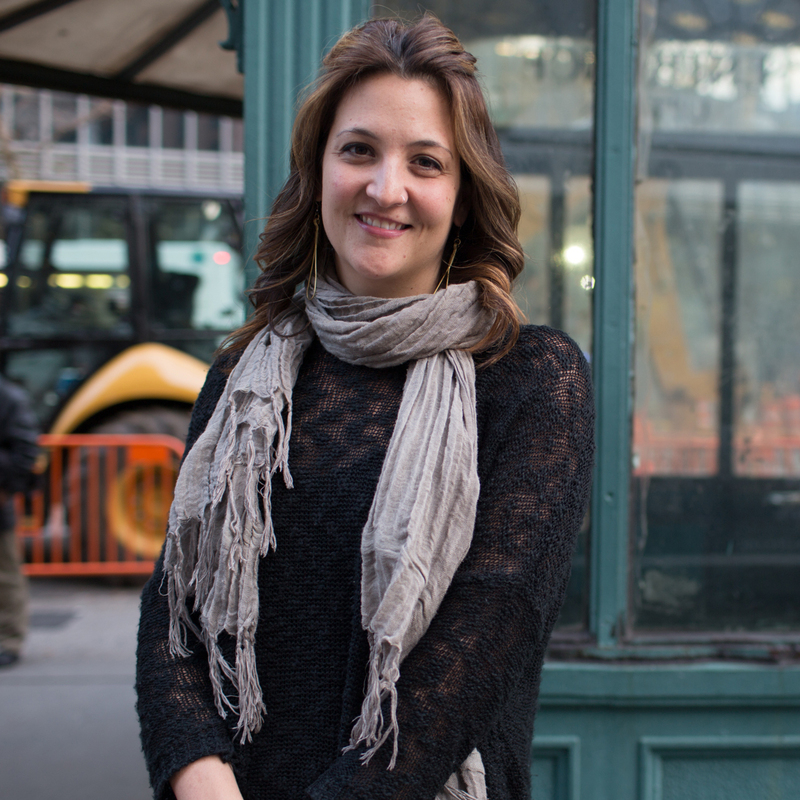 Indeed, they embody powerful placemaking strategies that are showing to have multiple and measurable impacts. 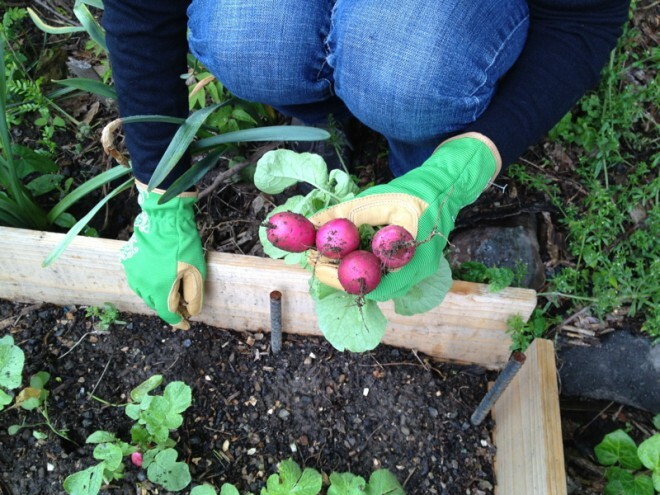 The educational programming that takes place at many community gardens can give neighbors the opportunity to learn about everything from nutrition and culinary skills to environmental sustainability, business principles, and job skills. 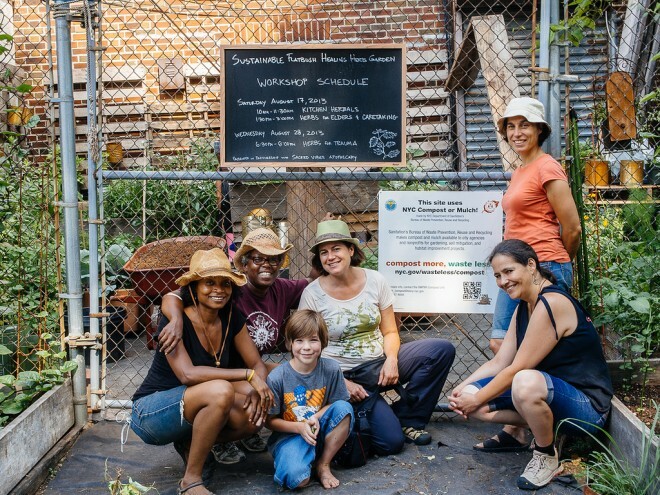 The Sustainable Flatbush Healing Herb Garden, for example, holds hands-on demonstrations to highlight basic urban agricultural techniques, and it offers community workshops on using herbs in culinary practice and as medicine. As detailed on the garden's ioby funding page, the project sought to provide volunteer and internship opportunities, while also pursuing partnerships with community members, neighborhood schools, and social service organizations. 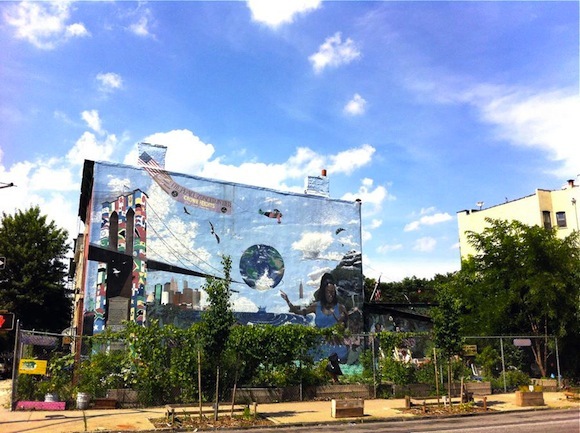 Land for community gardens can be publicly or privately held, and the programs often involve partnerships with outside entities such as nonprofits, youth or senior programs, prisons, housing developments, or schools. The national farm-to-school network is a large-scale model of how gardening can be an educational tool, an economic catalyst, and a vehicle for strong public-private partnerships. 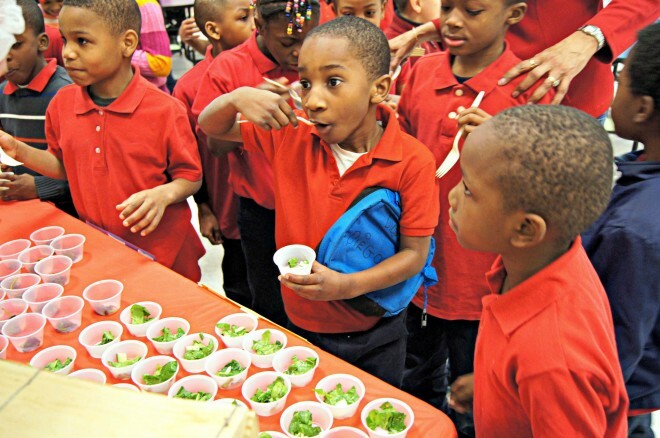 There are farm-to-school programs in every state, where the fruits and vegetables grown on school grounds supplement meals served in the cafeteria. 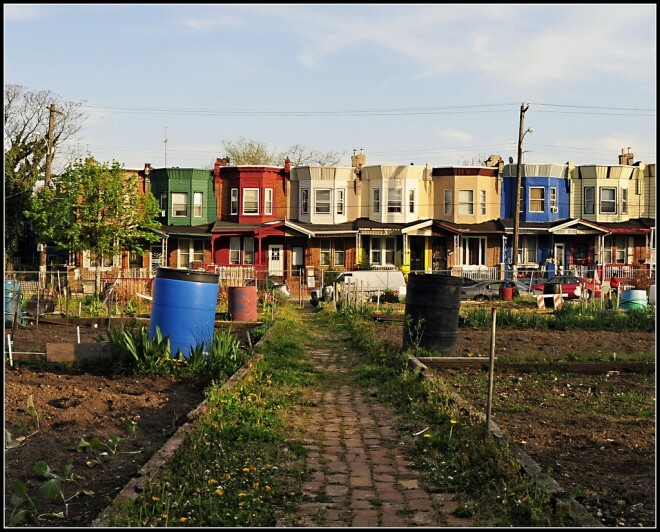 Echoing Jane Jacob’s now-famous idea of “eyes on the street,” a 2012 study in Philadelphia comparing two clusters of vacant lots—one that was cultivated and one that wasn’t—showed that greening the vacant lots made nearby residents feel significantly safer, and the newly cultivated lots could be linked to a decrease in gun crimes in the area. Shared gardens have played a powerful role in helping communities who have experienced the traumas of displacement, such as new immigrants and refugees. For these populations, shared gardens can be a vehicle for re-establishing a sense of place, building new social ties, and celebrating and maintaining cultural traditions. Little Haiti Garden in Miami, for example, enables the area’s Haitian community to use traditional farming techniques in producing often-unavailable crops such as callaloo and calabaza. Community gardens like Little Haiti Garden, which is located in one of the poorest districts in the country, also maintain a strong economic development component. By holding gardening and nutrition workshops, teaching retail skills, and selling produce to the neighborhood, local markets, and restaurants, the garden helps brings additional money and food into the households that need it. Wendell Berry once quipped that it may be too easy to underestimate the power of a garden. "A garden," he continued, "is a solution that leads to other solutions. It is part of the limitless pattern of good health and good sense." Since their origin in US cities at the end of the 19th century, the popularity of community gardens has tended to increase during periods of crisis. And as we face new challenges such as the rising rates of chronic health issues like obesity, heart disease, and depression, along with socioeconomic issues like high unemployment rates and increasing food insecurity, it makes sense that community garden initiatives are experiencing a nationwide resurgence. Even beyond issues of food access, community gardens are about building social ties, sharing skills and experience, learning about nature and culture, and taking proactive measures to improve our physical and mental well-being. 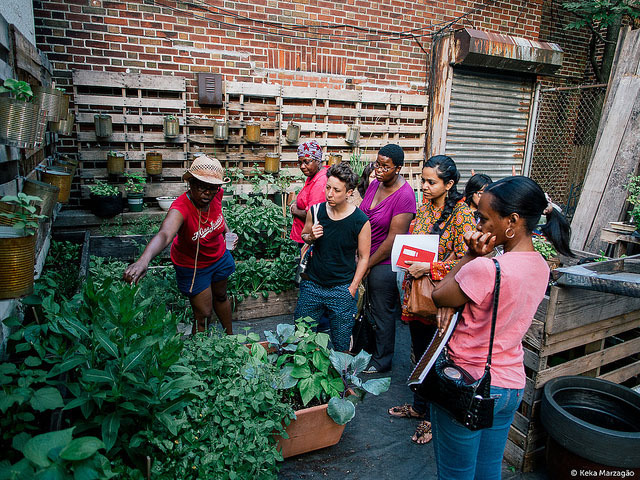 One thing is certain: As our urban environments become home to more and more people, community gardens will continue to be a powerful, place-based tool for creating local connections and enacting positive global change.